Go beyond basic I2C compliance. Generate advanced reports in minutes! I2C (Inter-Integrated Circuit) is a synchronous, 2-wire serial communication protocol. I2C Protocol is well suited for data transfer between ICs at relatively low speed. Its simple 2-wire interface simplifies IC design with fewer pins and smaller package thus reducing the board space and cost. Receive a thorough and elegant electronic validation report in 2 working days! Do I always need to test for full I2C compliance? No, this is not always the case. 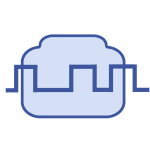 If your customer has a very narrow use case, or your chip’s I2C IP is exactly the same as a previously tested chip, then it is possible that you do not need the extensive validation that our service/suite provides. Can't I build a home-grown solution instead? While this is certainly an option, we expect that it will take a highly experienced automation engineer between 3-6 months to create a first version of a similar tool. 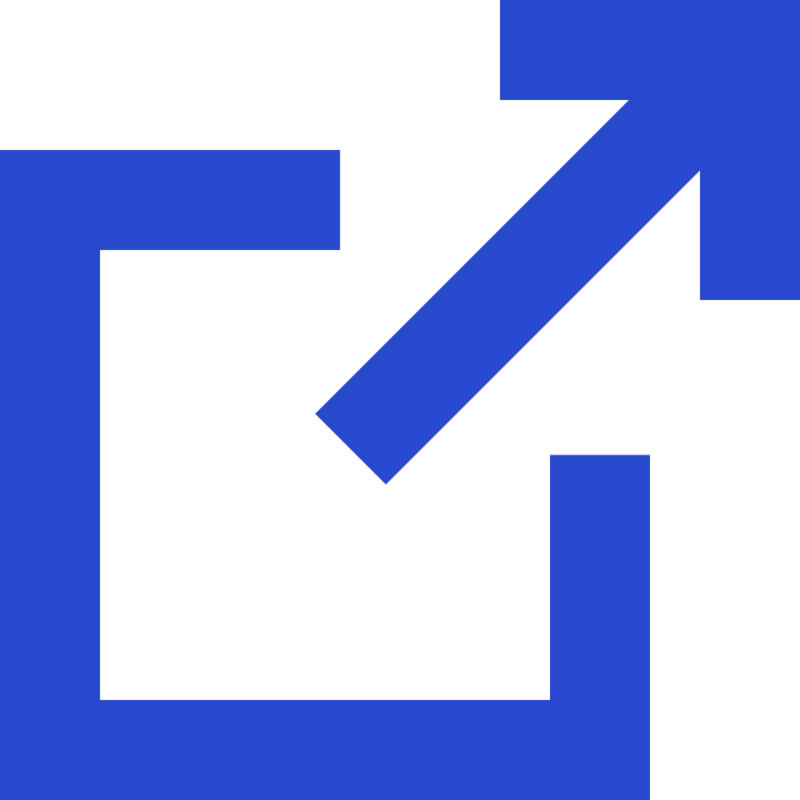 To create a robust and flexible tool takes experience, and we have been improving this tool over the last 3 years since release. We believe it is worth the cost to skip the learning curve and avail our comprehensive report or validation suite. What else can I do with NI's PXI chassis/modules? 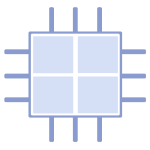 The 6570 or 6556 module is a general purpose programmable pattern generator and acquisition device with deep memory. It can be programmed using LabVIEW or other programming languages to emulate any synchronous digital protocol with 5ns resolution and 39ps line skewing resolution. NI’s PXI chassis supports high bandwidth and synchronization-friendly control and readback from a huge variety of digital, analog, and special-purpose modules in a compact form factor. Send ACK for last Read Byte. 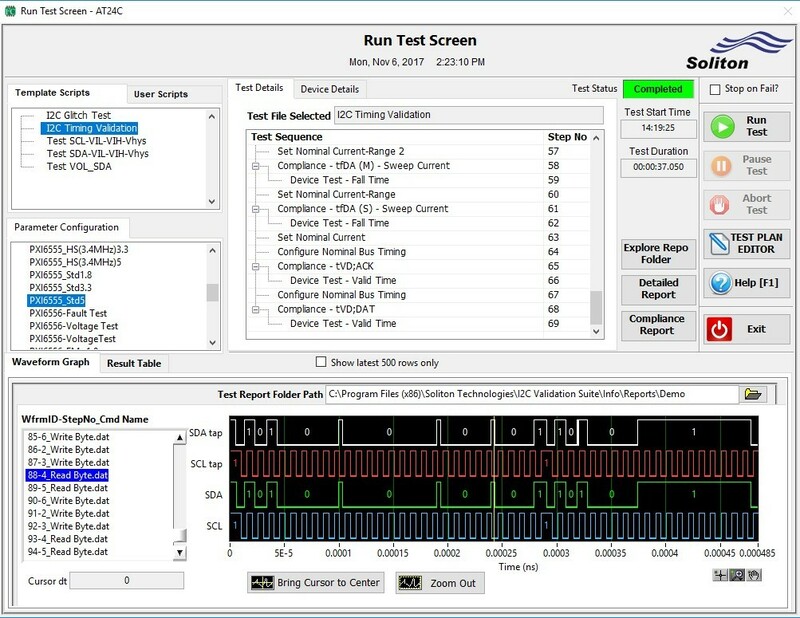 Test Plan Editor – LabVIEW based I2C Protocol Validation Tester allows users to create Test Scripts using a Script Editor tool by drag & drop of the Test steps in a sequence, and to configure the test parameters. 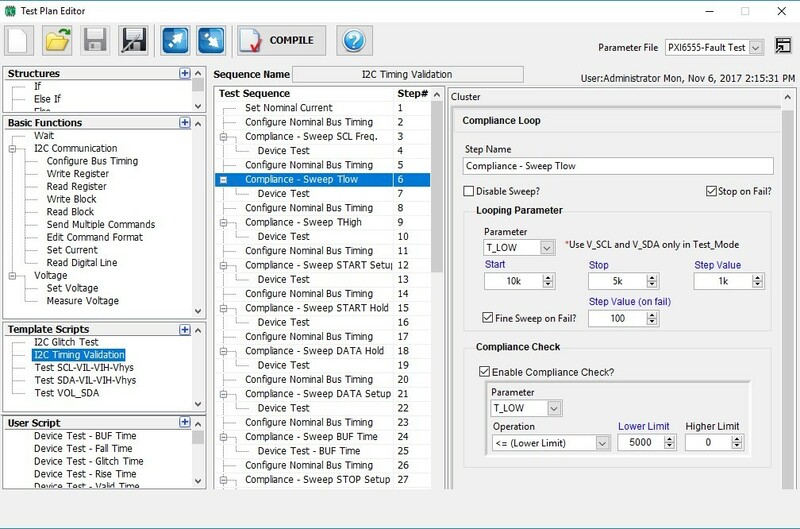 The I2C Tester tool comes with all the Test Scripts that are needed for testing I2C compliance. If the device contains any special wakeup process or if the test has to extended beyond the I2C spec, the user can script the tests and execute the test. I2C Waveform Viewer – During the test execution, user will be able to view the I2C digital waveforms that represents the I2C transactions between the master and the slave. 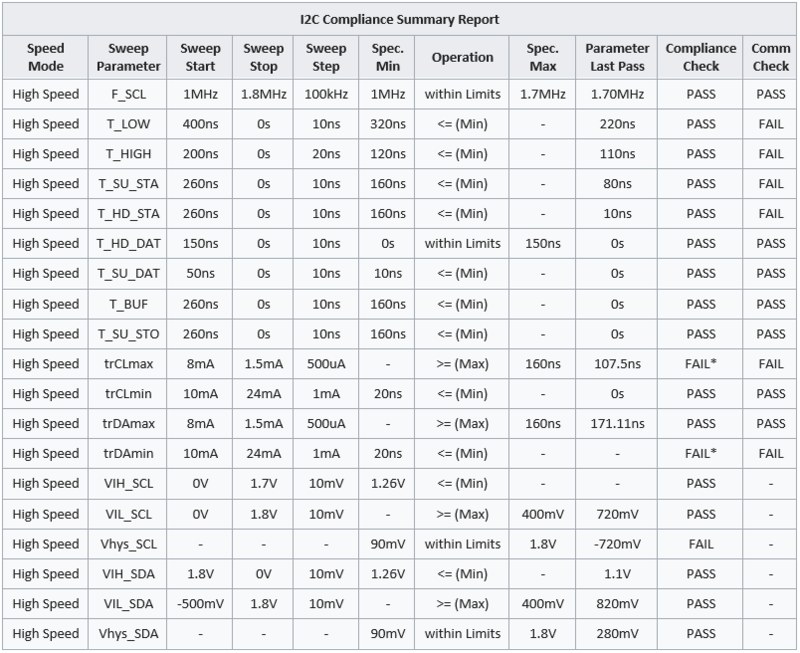 I2C Compliance report – The tool creates a compliance report for each test parameter at the end of script execution. I2C Debugger – I2C Debug screen allows one to interactively peek and poke device registers. Please fill in the following form and get access to I2C Parametric Validation Suite & Service quotes. Please fill in the following form and get access to I2C Validation Suite Demo. Please fill in the following form and get access to I2C Parametric Validation Suite Product Sheet. Please fill in the following form and get access to I2C Test List & Report Format.